Herd Reduction due to family health issues! ...new horses added to the list! Rare daughter of the international reknown *Simeon Sochain now available! ...also an beautiful Egyptian Event Top Ten stallion now available for sale! We would like to take a moment to welcome you to the virtual home of Caledonia Egyptian Arabians. Thank you for your interest in our horses and our Straight Egyptian Arabian breeding program. 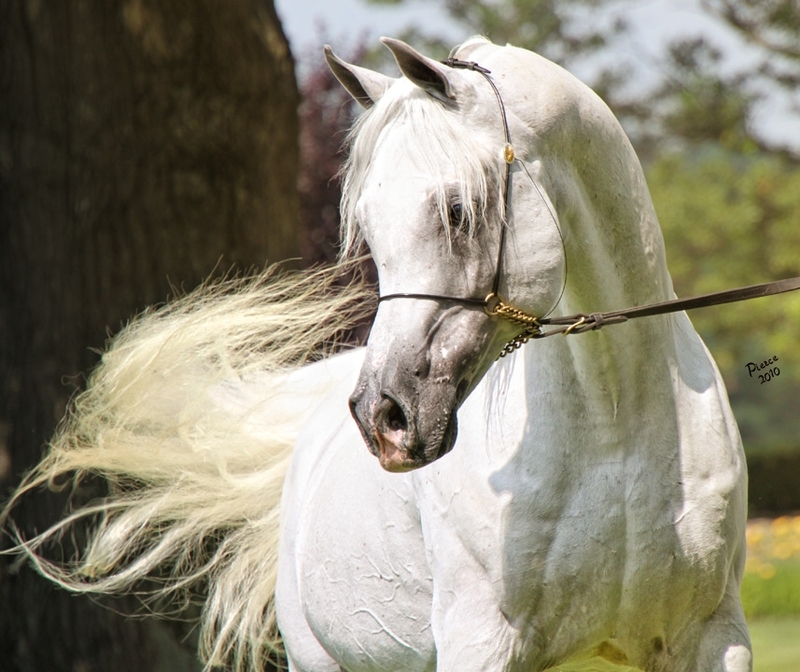 Our focus is to produce classic, typey Arabians with excellent movement and performance ability along with excellent "in your tent" disposition. Our horses are definitely part of our family! The horses in our breeding program stem from the great Arabian breeders such as Ansata, Gleannloch, and Bentwood. Our herd originated with daughters of Ansata Abu Sudan, TheEgyptianPrince and El Hilal. Our foundation stallion is sired by Ansata Halim Shah. The next generation of Caledonia is here! Nagib has produced a couple of beautiful daughters who show the potential to stellar producers! Nagib's first foal shown, Nefertari CE, garnered a Top Ten at the Egyptian Event. We look toward the future of Caledonia with great anticipation for the things to come. We take much pride in our herd and consider them close members of our "family". We hope that you enjoy your visit to our website! We always love to "talk horses" so feel free to contact us. ...where a fascination with art, ancient Egyptian culture and genetics has come together! Variety adds spice to life!